SANAA, Yemen - Suspected U.S. drone strikes have killed three alleged al Qaeda operatives in Yemen’s southwestern Bayda province, security and tribal officials said, the first such killings reported in the country since Donald Trump assumed the U.S. presidency Friday. The two Saturday strikes killed Abu Anis al-Abi, an area field commander, and two others, they said, speaking on condition of anonymity as they were not authorized to release the information to journalists. U.S. drone strikes against suspected al Qaeda targets have been commonplace in the years since the Sept. 11, 2001 attacks on New York and Washington, as a retaliatory measure against the group. The use of unmanned aircraft as well as air strikes in the Arab world’s poorest country rose dramatically under President Barack Obama, with data from the Britain-based Bureau of Investigative Journalism showing spikes in attacks, especially in 2012 and 2016. Last summer, then-President Obama took the unusual step of acknowledging the “legitimate criticism” of U.S. drone strikes in the Middle East that have caused civilian deaths. At the same time, he said the U.S. has now “constructed a fairly rigid and vigorous set of criteria” to justify continued drone strikes that kill whole groups of people at once. U.S. intelligence officials have said as many as 117 civilians had been killed in drone and other counterterror attacks in Pakistan, Yemen and elsewhere during Obama’s presidency. Human rights and other groups criticized the Obama administration, saying it undercounted civilian casualties. They also worried that President Trump will more aggressively conduct drone strikes, which are subject to little oversight from Congress or the judiciary. In the years since the drone program began, Yemen has fallen ever deeper into chaos. A two-year-old civil war began after Shiite Houthis rebels seized the capital Sanaa and forced the President Abed Rabbo Mansour Hadi to flee the country, prompting the launch of an extensive air campaign by a Saudi-led coalition that began in March 2015 aimed at restoring Hadi’s government. 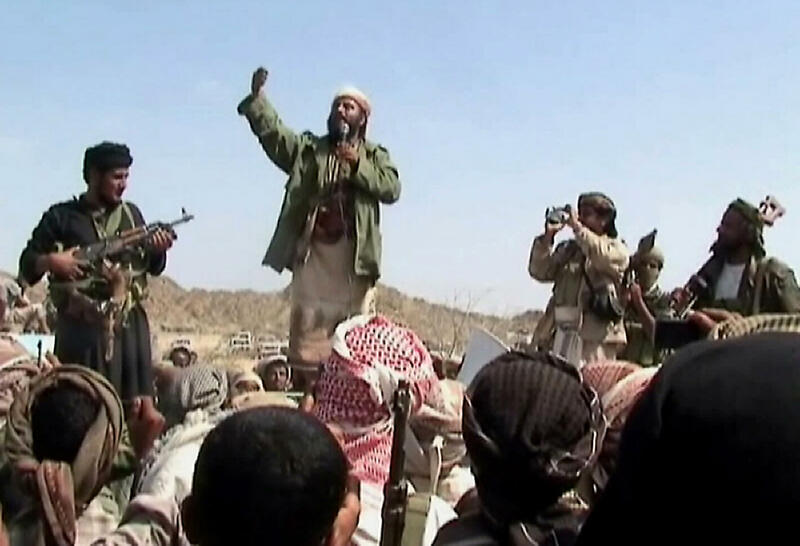 Al Qaeda in the Arabian Peninsula, long seen by Washington as among the most dangerous branches of the global terror network, exploited the chaos, seizing territory in the country’s south and east, and the Islamic State group has also claimed attacks. The northern region remains under Houthi control. On Sunday, Mwatana, one of Yemen’s top human rights groups, released a documentary on civilian victims of drone strikes, interviewing family members who say their relatives were innocent and have had no compensation from the U.S. despite their wrongful deaths. It cited much higher civilian death tolls than the U.S. intelligence report, saying that hundreds of innocents had been killed by the U.S. strikes across the country since at least 2002. In one segment from Bayda, the same province where Saturday’s drone strikes hit, Ali Abedrabbo Ahmed said his 17-year old son was only a simple construction worker killed while he was going to work in a pickup truck with colleagues in 2014, an incident other witnesses corroborated in the video.